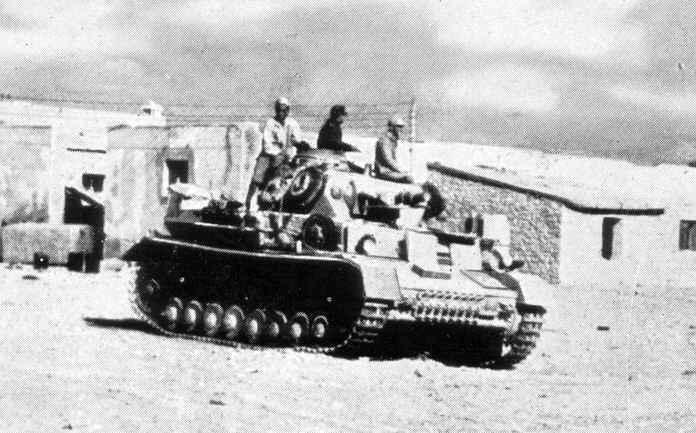 A Panzer IV ausf D in North Africa in the spring of 1942. This picture shows the tank about to take part in a reconnaissance raid. The ausf D was the first version of the Panzer IV to feature an external gun mantlet, and the last not to have the glacis hatches flush with the surface of the glacis.